Jan Beautz, who was born on December 15, 1946, died on September 23, 2017. Jan served for twenty years on the Santa Cruz County Board of Supervisors, where she represented the First Supervisorial District. This is the District that includes Live Oak, Soquel, and the Summit Area, and part of the City of Capitola, too. Jan was first elected to the Board in 1988, and she served on the Board from 1989 to 2009. Yesterday, a memorial service for Jan was held at Twin Lakes Church. Members of her family spoke, and so did her successor and the current First District Supervisor, John Leopold. Rita Winings and David Reetz, her long time administrative assistants, spoke as well. Many who worked with Jan in County government were also there, including me. 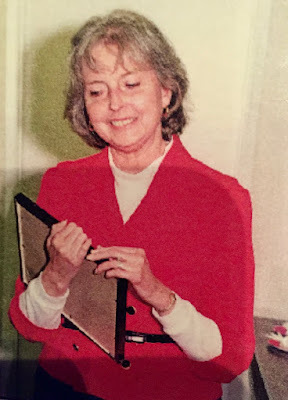 Jan's dedication to her family and to the community were celebrated. Her remarkable service to her District, and to the County as a whole, were highlighted. I want to add one thing. I was a member of the Board of Supervisors when Jan was elected in 1988, and the people of the First District felt, before her election, that their local government ignored them and their concerns. As those speaking at the Memorial made clear, Jan changed that impression, because she changed the reality of how government related to the residents of the First District. Jan was tireless in making sure that her constituents got a chance to speak out before the County government took any action that could affect them, and she stood up for the majority of the residents of her First District in every decision she made. This fact was a giant change for First District residents, and Jan Beautz was beloved by those she represented because she actually did represent them! Here is the point I want to emphasize. Jan's accomplishments were not only what she did, and what County government did. She accomplished something even more important. She restored faith in self-government, because when members of a community believe that they don't count, they don't try to count. In this nation, today, everywhere, people doubt that their government can be made to work on their behalf, and we face a governmental crisis because of that fact. Thanks to Jan Beautz, the residents of the First Supervisorial District have a different idea about their government, and they continue to demand that it respond to what they want. A salute to a great County Supervisor! Thank you, Jan Beautz!